2: I live in the electorate of #NewEnglandVotes. I was born on Kamilaroi Country into a family that settled in the region 150 years ago. Shop owners and graziers, my mob aren't special. If I were to analyse the family tree I'd find plenty of rusted-on Nat voters. 3: I am a hybrid. My mother's family were English settlers who arrived in 1905 and settled in the outer northern suburbs of Sydney. They were blue-ribbon Liberal voters. It’s been a busy week at the farm with lots of talk about water buybacks & who said what to whom. In particular Barnaby Joyce & his department seem very, very confused about their role in the whole issue. Despite the #watergate2019 issue seemingly being the fault of “Labor, labor, labor” there is little to substantiate this. A media outlet this morning claimed the QLD govt “asked” Barnaby Joyce to purchase the $80 million *water* in question. 1. My frustration with most msm reporting of #Watergate comes down to a fundamental disagreement about the role of the journalist. I first realised the schism in my first journo job, with Brisbane’s Courier Mail, when the chief sub castigated me about a story I’d filed. 3. I don’t agree with that. I don’t see there is any purpose to journalism if the job is not to inform readers or viewers of the facts. I’m not talking about inserting opinion into news stories, I’m talking about facts which contradict reported claims. Listening to @RNDrive . I have seen the brief that was provided to @Barnaby_Joyce. The documentation came from the department, not the QLD Government. Before he approved the purchase he should have made his own inquiry. Did he ask why the Department were using a limited tender in preference to an approach to the market? @Barnaby_Joyce @PatsKarvelas Why was $80 million of taxpayer money given to a company domiciled in an offshore tax haven? My research interest is in political narratives. I’ve found once someone or a group of people is framed by the media as a particular archetype - hero, villain or victim - this characterisation is sticky and tends to influence how they are framed subsequently. You all remember when Gillard was framed as a ‘liar’ for bringing in carbon price (it wasn’t a tax)? That villainous characterisation was impossible for Gillard to escape. It ultimately cost her the Prime Ministership and political career. Tweeps are frustrated, and journos are fighting back with accusations of hyper-partisanship and trolling, and it's all getting rather nasty whilst completely failing to understand what is at stake. So here is my take on why I, personally, am so deeply frustrated with our media. I was an Australian Public Servant from 2002 until my forced resignation last year. As ex-APS I will give no details of that, except to say that the consequences for those who expose truth are real and they are serious. Are the responses provided by Angus Taylor to #watergate sufficient for us to all move on? This is a tough one, but I hope I've broken it down enough to be useful. 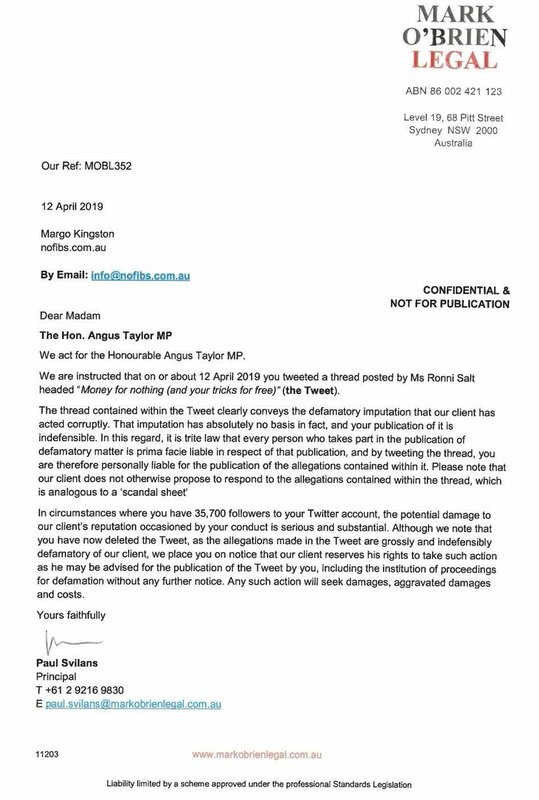 Lot's of #auspol are very interested in Angus Taylor at the moment. Rather than repeat the awesome work of those who are doing the digging, I’ll help everyone assess Angus’ response to #watergate. So what are those responses and what do they mean? I'll set them out at length. CH10: Your parliamentary website lists you has a co-founder of the eastern irrigation Australia corporation. Are you still part of that corporation? I’d like to present evidence to show they’re voting against their interests. If anyone needs a reminder of what’s happened over the last few months of the LNP; here is a quick reminder. Research any and all of it, please!. 6 Jun 2017, EF Realisation interim report. Eastern Australian Irrigation Limited (EAI) owns two large farms in Queensland. Principal assets include water rights and the associated water storage infrastructure for irrigation. 2 Sep 2017, EF Realisation first capital distribution. EF Realisation reported it owns 9.6% of Eastern Australian Irrigation's equity. Eastern Australian Agriculture isn't mentioned. It seems ALL of $80 million taxpayer's paid went to the Cayman Islands. Love #auspol but don't quite understand the @Barnaby_Joyce/#watergate/#RonniSalt thing? Always had Qs re #MurrayDarling politics, but were too afraid to ask? 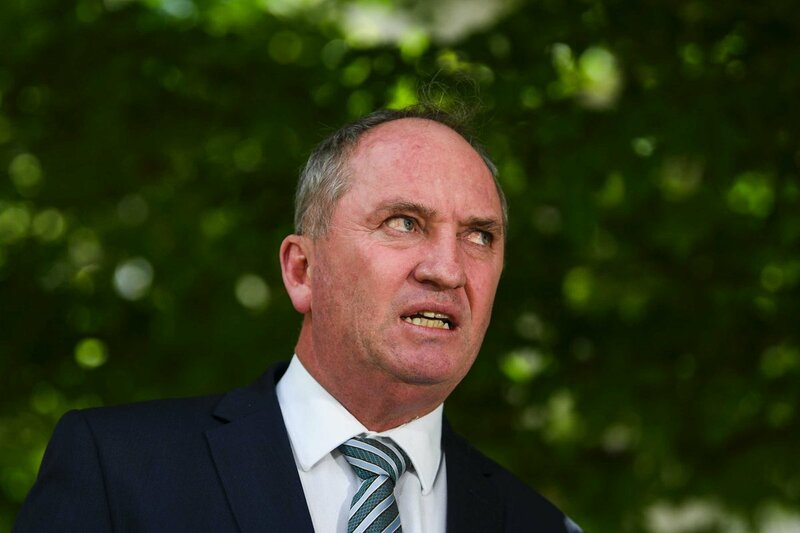 Current excitement is about an $80m ‘strategic water purchase’, which Joyce made as water minister in 2017. @AngusTaylorMP's old company Eastern Australian Agriculture made a $52m profit on the deal. Taylor was not involved in EEA in 2017 & I allege no wrongdoing on his part. Taylor's involvement isn't the point - point is that EEA is a well-connected corporation. To understand the #auspol of the #MurrayDarling you need to realise that it isn't about upstream vs down, farming vs env, or ALP vs LNP. It's about the powerful vs everyone else. 2. 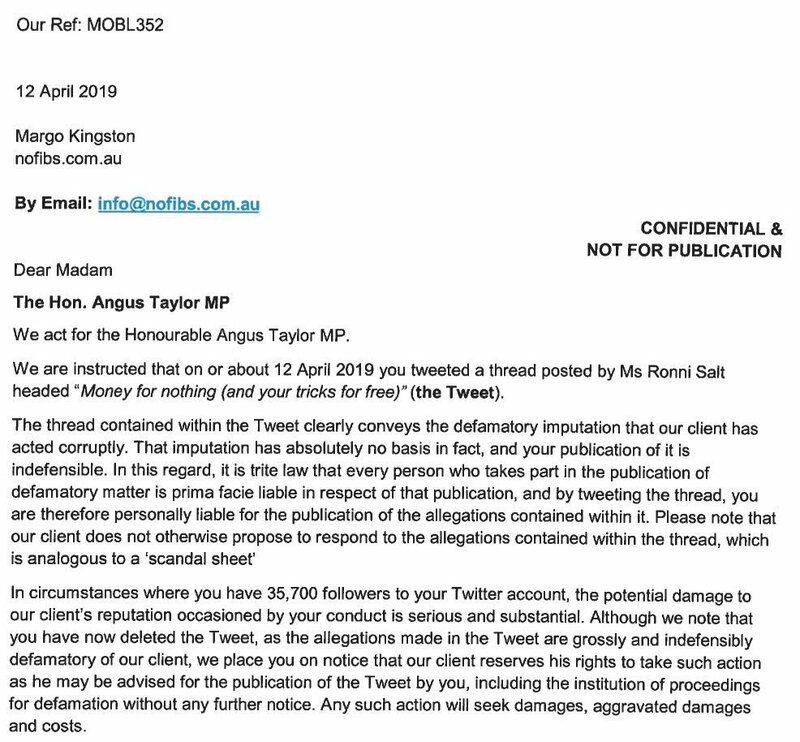 Here’s the full letter from @AngusTaylorMP lawyers sent to @NoFibs which falsely claimed I tweeted a thread on allegations against him. 3. Wondering if a lawyer Tweep would agree to act for me pro bono to sort out this mess? I believe I did not Tweet or RT the thread in question. 2/4 my brain for explanations, reassurances & to make sense of what’s happening. This time bc of the significant #GOPcultism however, I’m fearful we’re heading towards a dictatorship—loss of our democracy that my USMC Dad gave 30 yrs of life in 2 wars to protect. A NPRK replica. 3/4 In my quest to truly understand what makes #Trump supporters tick-what are their concerns/needs? Why are they so angry? Why are they so fearful of brown/black ppl? Are they racist or scared? Does poverty & ⬇️educ play a role? On Mitchell's picture: :What people call method acting deals with sensory memory. You use things like pictures. Mitchell's evoked a "giddy anxiety." I was hounding Nixon too starting in 1969. #Watergate impacted family relationships. Mitchell's picture brings that all back. Trump's a traitor but he's still not as scary as Nixon: Authoritarian and smart. Looking back on how we got out of that mess peacefully, 1st we didn't have Congress owned entirely by the #KochBrothers. So the @SenateGOP still functioned. 1. I'm amazed at @GOP leadership incompetence. I have Barr as No. 2 GOP leader now. Barr blew the Saturday deadline thus killing a very well organized, but doomed, propaganda operation. The plan clearly to flow from Sat p.m into Sunday interview shows. It didn't last a day. 2. 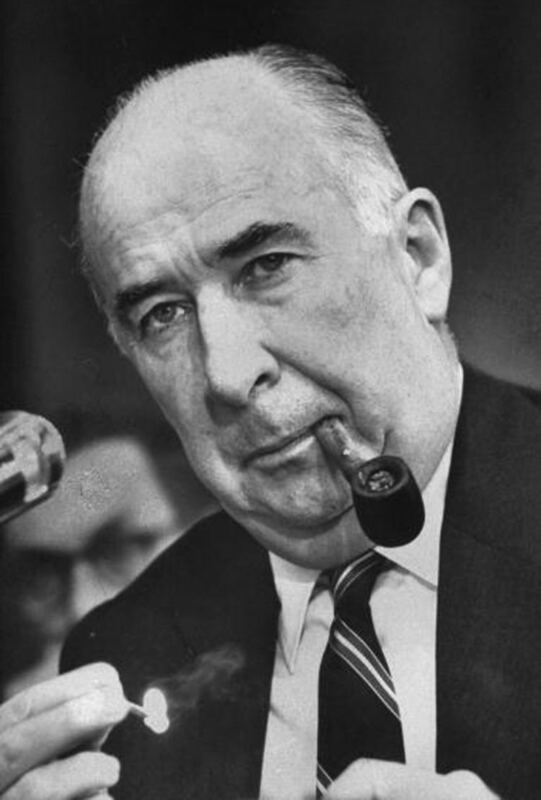 The Barr plan was not #Watergate. It was more like the Bay of Pigs. Now McConnell, who is my GOP No. 3, after a unanimous House vote says 'conceal the report' rather than just 'stall.' Mitch gives international signal for "Trump is Toast." 3. House was designed to be more responsive to electorate. Don't be surprised when Trump Barr McConnell, who are threatening @HouseGOP with extinction, force @GOPLeader to call for @POTUS impeachment vote of his own . Just to save every member within 10% in midterms. I'm a little shook. Just discovered that my family had a small role in Watergate. Thread to follow. My grandfather, Nathan Tannenbaum, was a CPA who founded his own firm, N. Tannenbaum & Co., in Manhattan. Their biggest client was Leon Hess, who built the Hess Oil empire and later owned the New York Jets. I remember, as a kid, learning that the partners at N. Tannenbaum & Co. were my grandfather, my father, the brothers Irving and Philip Warshauer, and Irwin Gleich -- maybe one or two other partners, but it was a small firm. As they say in Captain Underpants, Remember that now. With cite to the fine biography of Judge Friendly by lawyer, former federal prosecutor, & former Senate #Watergate counsel David Dorsen. This is an EXCELLENT article. I highly recommend it.